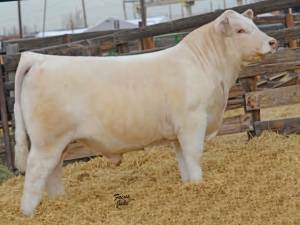 Bottoms Up is the sylish young Charolais Bull that has attracted breeders from throughout the US and Canada. This powerful Fire Water x 0641 son was selected Calf Champion at The American Royal and 2016 National Western Stock Show Reserve Grand Champion Bull. With his combination of eye appeal, soundness, and proven pedigree Bottoms Up offers plenty of mating flexibility for both purebred and club calf breeders.